Debt Recovery Specialists (DRS) is a full service debt collection agency specializing. The Credit Bureau of Island County (CB-IC) has been providing professional debt recovery. Washington Collectors, Tri-cities, Inc. have been in the Debt Collection Service business for almost fifty years. Peninsula Collection Services provides Debt Collection and Tenant Screening Services. Saba and Associates have been in the collection industry since 1975. A.A.A.A., Inc. is a debt collection firm, primarily serving the Pacific Northwest. Merchants Credit Association is a premier full service debt collection agency. AMG Financial has provided credit management, collection services and accounts receivable management. Northwestern Collection Service, Inc. (NCS) has been successfully providing collection services for 45 years. Physicians & Dentists Credit Bureau primarily provides healthcare collection services. Automated Accounts, Inc HAS more than 75 years experience in debt recovery and can assist you with education. Bonded Adjustment is a professional full-service collection agency locally owned and operated since 1916. VEC's history and experience dates back to 1976. Being located in the Inland Northwest provides. Pacific Northwest Collections, Inc. has served the Puget Sound business community since 1934. Grimm Collections among the longest-running, family-owned debt collection agency in Southwest Washington. DCS is a professional debt recovery firm specializing in consumer and healthcare receivables. Evergreen Financial Services, Inc. located in Yakima, Washington, is privately owned. Locally owned and operated, we provide debt collection for government and healthcare. YCCS provides reliable debt collection services for a multitude of clients. Sentry Credit, Inc. provides primary and secondary contingency debt collections services. 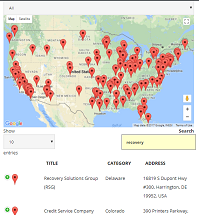 NCS has been serving businesses across the nation with professional recovery since 1995. Professional Credit debt collection services attempts to get best return for your bill collection services. Industrial Credit Service has been a family-owned and run business since 1966. Associated Credit Service, Inc. is a full service collection agency based in Spokane. Commercial Collections, Incorporated (CCI) is a collection agency operating both in the US and internationally, specializing in quick results. Accounts Receivable Inc. and its affiliated distressed asset purchasing company Acctcorp International Inc. Established in 1903, CBS Collections, Inc. is a stand-alone, third-party collection agency. 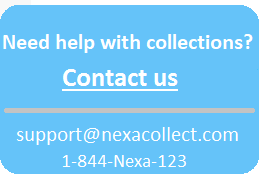 Atlas offers recovery solutions for Consumer debt, Commercial debt and Legal Collections. NSB is a national debt recovery agency founded in 1986. It manages delinquent accounts receivable. For 27 years, Financial Assistance, Inc. has been recovering debt for clients. Armada Corp. is a Washington-based financial services firm with over 75 years of leadership in the debt collection. Since 1989, the debt collectors at Rainier Collections Service. Since 1987, Credit International Corporation has been an innovative leader in the Collections. RPM is a provides accounts receivable management services to Bank Card and Retail Card. Fairway Collections is the premier debt collection agency located in SW Washington. Dynamic Collectors, Inc. has provided decades of premier debt-recovery services for all of Washington since 1990. Olympic Credit Service, Inc. Family owned and operated since 1959 and offers several options for your collection. EACM was established in 1934 and our ownership, management team has more than 60 years of experience. Since 1981 Alaska Cascade Financial Services has collected past due accounts for thousands. Accelerated Collection Service is a collection agency committed to delivering innovative solutions. Audit & Adjustment Company is a full service agency providing portfolio management solutions. A third generation collection agency established in 1954 in Moses Lake by Hugh Warnick.